Rebecca Lynn Jackson was born March 12, 1957, in Searcy, AR. She passed away on March 17, 2019, at Unity Hospital in Searcy. Becky was a special soul, full of love, kindness, and gratitude. Despite the challenges she faced, Becky worked hard and lived happily. 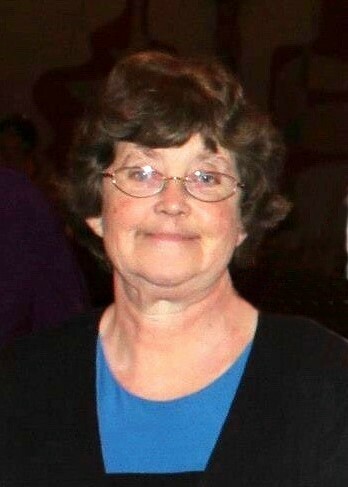 She was a dedicated employee for 41 years at New Hope in Searcy. She attended the McRae Church of Christ. At her home in Garner, she was always helpful washing dishes, shelling peas, and entertaining her niece and nephew. Becky loved singing gospel music, playing board games, animals, watching pro-wrestling and the Razorbacks. Her positive attitude and peaceful ways were an inspiration to all who knew her. She will be deeply missed by many friends and family members. Becky leaves behind her parents, Billy Ray and Wilma Jackson, of Garner, her sister-in-law, Becky Jackson, her niece, Rachel Perry, nephew Kyle Jackson, great-nieces, Baya and Opal, and many other loving cousins, aunts, uncles, and family members. She was preceded in death by her big brother, Steve Jackson. Becky’s family would like to thank all of those who surrounded her and prayed for her in her final days. Please make any donations to the Special Olympics, which Becky participated in and enjoyed for many years.